2016 has made its presence known, and this first quarter is promising to be quite active in the Greater Hattiesburg market. Every Monday morning our entire team gathers for our “team huddle” to discuss market trends, learn about changes in the lending environment, share needs for buyer clients, and review every property that our team is marketing or that is currently awaiting closing. This past Monday, I made note that out of all of the properties we had listed in the Hattiesburg City Limits only two were not marked “Pending.” I don’t recall ever seeing that before! Perhaps it’s happened, but it was quite glaring this past week. Hattiesburg wasn’t the only area where activity has increased since Christmas. Approximately two dozen properties in our other submarket areas had the “Pending” notation beside their addresses as well. Clearly, there are buyers active in our market, and they’re looking for well-maintained, functional, move-in-ready, and competitively priced homes in a variety of price ranges in stable and attractive neighborhoods. It’s important to recognize those parameters (listed above) desired by buyers and avoid the misconception that “anything goes.” However, it is good news for sellers who are willing to pay attention to what the market is saying and develop a strategy for successfully selling their property for the highest possible value. That’s where our team really shines - helping sellers develop a strategy and aiding them throughout the process to position their home in such a way that the probability of success is greatly increased. By the time one of our homes hits the market, many hours have been spent in trying to “get it right.” With the aid of our team of agents, home stagers, and trusted independent service providers (janitorial, painters, flooring installers, landscapers, and carpet cleaners), we help our sellers prepare their homes to stand out against the competition. Our Marketing Department then creates attractive photographs for presentation and integrates each property into a marketing plan that has been developed by experience and guided by current trends. Our Buyer Specialists prepare to present our homes to potential buyers, and our Support Team begins following up and reporting any feedback that is received throughout the process so adjustments can be made if needed. It’s a fully integrated strategy to provide unparalleled service and success for our clients. If you or someone you know is considering selling a home, I’d like to share the “5 Forces” that we consider in helping our sellers develop a successful strategy. They are: Market Conditions, Location, Marketing, Condition, and Pricing. 1) Market Conditions - This is the only force that a seller has no direct control over. So, I mention it first. These are the conditions locally, regionally, and nationally that create the environment where a sale takes place. It could be over- or under-supply, prevailing interest rates, local employment rates, etc. It is our job to have an understanding of how these forces are playing out in our local market and provide insight to our clients on how it improves or impacts a potential sale. Market conditions can develop slowly or rapidly. For instance, Hurricane Katrina or 9/11, would be examples of events that had a rapid impact on prevailing market conditions. 2) Location - This is the first of the factors that a seller has control over. And before you say, "But, Adam, I can't move my house!" I'll remind you that prior to purchasing your home or property, you did have a choice. You could have chosen a different property in an alternate location. It is true, however, that the choice has been made and can no longer be changed (at least not very easily, and you certainly can't move the legal description even if you uprooted the home that sits on it). Thus, it becomes our role once more to help you understand the impacts of your location - both positive and negative - and help determine how potential buyers might respond. 3) Marketing - This is a factor that sellers control through the choice of brokerage and marketing team they select for their property. I often tell my seller clients that this is what you are placing your trust in our team to do. What will be done to ensure that the buyers in the market know about your property? Our marketing plans answers this fundamental question. 4) Condition - Here's where you really start to stand out from the crowd. The combination of condition and price are paramount in creating that "shiny penny" that I often speak of. Does the home smell pleasant? Are the finishes worn or fresh? Does the landscaping and exterior appear well-maintained, or does it send the message that a lot time and resources will be needed to maintain it? You can't change a floor plan very easily, and it would be even harder to dig the house up and move it to another location, so making the effort make your property more appealing can be what makes or breaks the home for a buyer. Having a more attractive and move-in ready condition, a seller can reasonably expect to fall higher on the value spectrum for their particular property and/or anticipate less time on the market. Our home staging team and our agents provide tools and recommendations to help sellers present their home in the best possible condition. 5) Pricing - The final, and perhaps the most crucial aspect of the strategy that sellers will choose, is the pricing of their home/property. Our team approach provides sellers with a well-vetted pricing recommendation. In addition to the experience of our Listing Agents and the research performed by our Listing Manager, our entire sales team reviews our newly-listed properties following any condition improvements and critiques the proposed offering price for a final recommendation. Once the property launches on the Multiple Listing Service, it's important to monitor the reaction of the market. If all other forces have been considered, and the market is not acting on the property, it will be important to revisit the pricing strategy and/or use feedback to address any issues with condition that are within the power of the seller. Understanding the method and rationale for how we develop our selling strategy often helps sellers proceed with confidence as we market and sell their home or property. 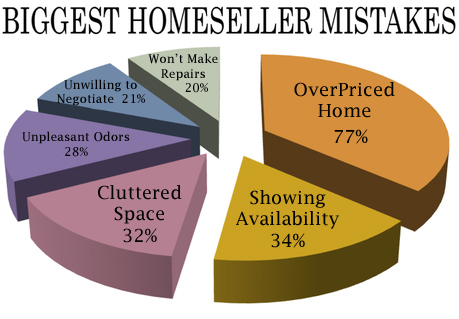 But sellers aren’t the only ones who benefit! Home Buyers in the market can have greater confidence when they select an All-Star Team listing and our Buyer Specialists have greater understanding and knowledge to evaluate any property being offered on the market on their behalf. So, it’s a win-win for sellers and buyers! It truly is a team approach! We would love to hear from you with any questions, comments, or referrals!!! Feel free to email them to me at adam@deloissmith.com or info@deloissmith.com!